Where do pesticides and their degradation products go once they enter the soil? And how long does it take them to get to groundwater or drainage systems? That depends on a number of factors, but researchers at Aarhus University have come a step closer to finding quick answers. For the first time ever, they have used visible/near-infrared spectroscopy to predict the transport of dissolved chemicals through intact soil. The ability of soils to transport dissolved chemicals depends on the soil's texture and structure. Tracking the travel time of these solutes is usually carried out in the laboratory by measuring breakthrough curves, where the application of a solute at the soil surface and its appearance over time at the bottom are recorded. Obtaining breakthrough curves from laboratory studies is extremely expensive as well as time consuming and labour intensive, so the team of scientists from Aarhus University and Aalborg University decided to think out of the box and use visible/near-infrared (vis-NIR) spectroscopy to predict breakthrough curves – for the first time ever. Vis-NIR spectroscopy is well recognised for its measurement speed and its low data acquisition cost. It can be used for quantitative estimation of basic soil properties such as clay and organic matter. 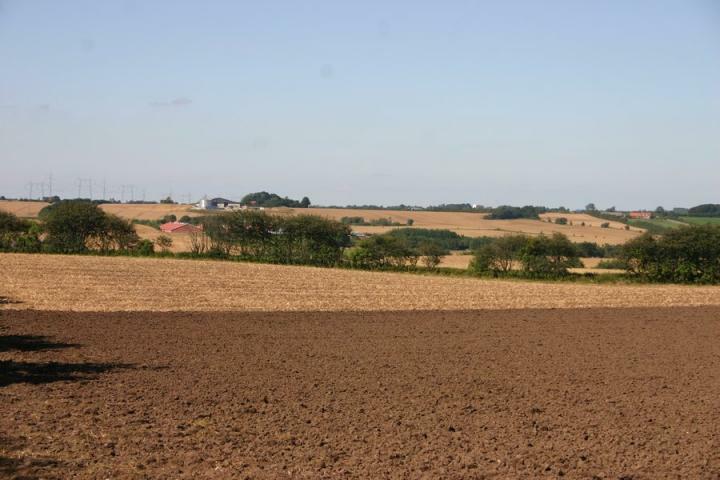 The team of scientists used vis-NIR spectroscopy to predict the breakthrough curves of the solutes on a large variety of intact soil columns from six representative fields in Denmark. Averaged across the individual field, the new technology estimated the breakthrough curves with a high degree of accuracy. – We found that we could measure the mass transport of dissolved chemicals quite accurately with vis-NIR spectroscopy. Our findings can pave the way for next-generation measurements and monitoring of dissolved chemical transport by spectroscopy, says Professor Lis Wollesen de Jonge, one of the scientists on the team and co-author of their article in Nature's Scientific Reports. The intensification of agricultural production to meet the growing demand for agricultural commodities is increasing the use of chemicals. The extensive use of agrochemicals causes pollution of water resources. This, in turn, poses serious threats to aquatic ecosystems, human health, and the environment. The occurrence of agrochemicals and their degradation products above the permissible limits in drinking water wells has forced numerous wells to be shut down and the implementation of strict regulations on the use of agrochemicals in the EU. Understanding the leaching of solutes to groundwater and being able to measure and model their transport times are therefore important for our health and the environment. Soil plays an important role in this regard because of its many functions. Soil is fundamental for agricultural production, for its ability to filter nutrients and pollutants, and for storing and recycling organic material. Soil is also the most important transport pathway for agrochemicals to groundwater. The soil's ability to filter dissolved agrochemicals is dependent on the soil's properties and the interaction between the dissolved solutes and the soil properties, and is influenced by how soils are used and managed. Soil structure is a very dynamic property since it is influenced by basic soil properties such as texture, organic matter, carbonates and metal oxides, climate, and land use and management practices. Depending on the soil structure, at close to saturation, water and dissolved chemicals can either be transported evenly through the soil, or rapidly through specific pathways in the soil with various degrees of mass exchange between the soil matrix and the transporting pathways. Various solute transport models have been developed to account for different transport processes and facilitate the prediction of the transport of dissolved chemicals through soils. – Major challenges when it comes to risk assessment are obtaining an accurate estimation of a range of parameters which are used as input in solute transport models and to accounting for the spatial differences in those transport properties, Lis Wollesen de Jonge explains. Even though there is a slight underestimation of the within-field variances with vis-NIR spectroscopy, the efficiency of this technology in terms of cost and speed of measurement may outweigh expensive and precise measurements using conventional methods of soil properties that usually have large spatial variability. In order to hone the technology, approaches for reducing the estimation error resulting from differences in soil structure that cannot be captured by vis-NIR spectroscopy should be investigated. Another avenue of exploration in order to improve the prediction accuracies could be integration of vis-NIR spectroscopy with other readily available information, such as soil structure information based on soil surveys or quick field tests.